And then my sewing machine broke. 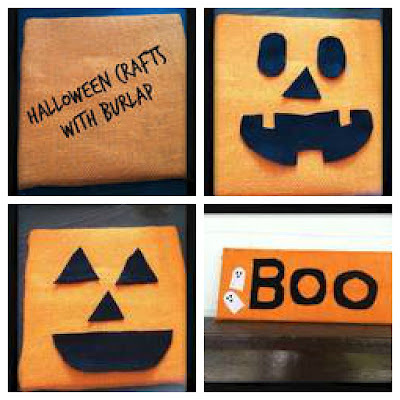 But I still really wanted to do something similar to Confessions of a Plate Addict's Jack o Lantern Pillow. Seriously, check it out! It's awesome. So, no sewing machine to make a pillow. And I didn't want to pay much of anything for a project I know my girls will lose the pieces to in about 2.5 seconds. 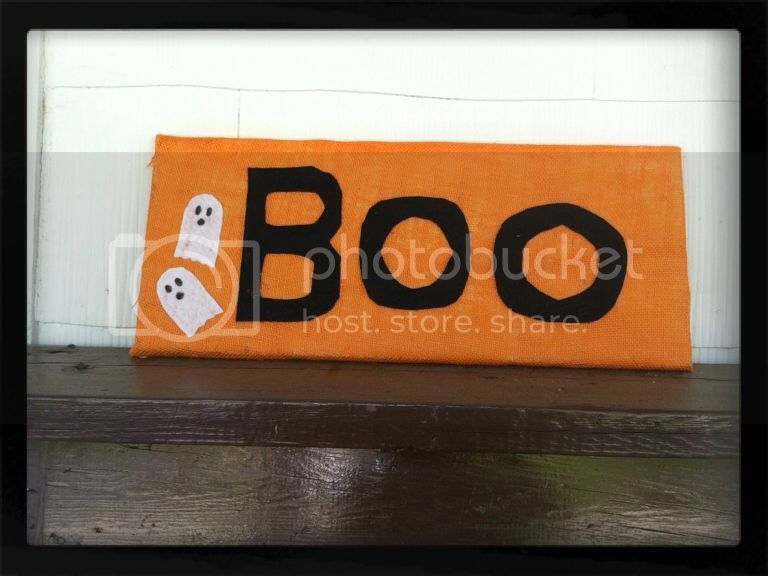 I'm sure you all can figure out how to glue a piece of burlap on to a board. 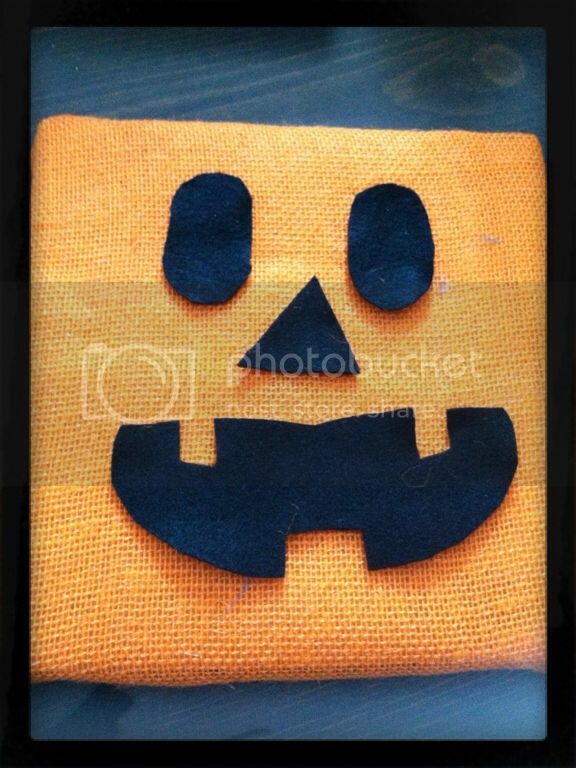 Next, cut out pumpkin features in the black felt. I did two complete sets of each face because the girls will fight. I put the face pieces in a baggie. Nothing special. Super Easy. Well...aside from the hot glue gun burns. I had quite a bit of burlap left over and my fingertips had completely lost feeling, so I figured...why not another burlap and scrap wood craft? I did use a fabric marker instead of cutting out felt for the eyes. I knew it was going to end badly for my fingers gluing something that small on. Again, instructions really not necessary because it's pretty obvious what I did. I'm like the worst crafty blogger EVER. "Look at the picture. Figure it out yourself." Super cute for Halloween, I see! Super cute and simple! Thanks for sharing! How cute! And I love that it's not too complicated either. Thanks so much for sharing! These turned out great! 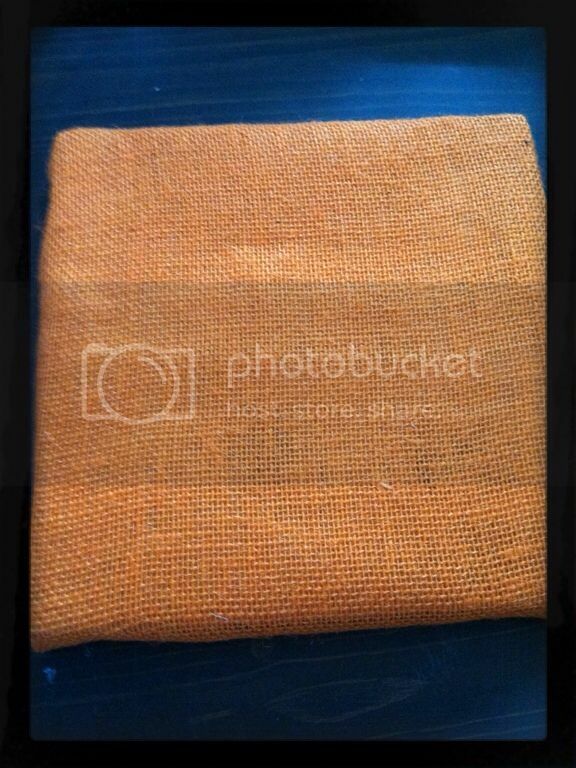 I have just bought some burlap and can't wait to start my projects. Thanks so much for linking up to Creative Thursday. Can’t wait to see what you share next week. Have a great weekend. I love the texture of burlap. Great job. My weekly linky party--One Creative Weekend--has gone spooky this week in honor of my thirteenth party. If you haven’t already, I hope you’ll visit "One Creative Weekend" on OneCreativeMommy.com (open every Fri-Wed) and link up this idea and anything else you’d like to share. (You can include non-Halloween posts as well, but feel free to link up as many Halloween-themed posts as you like.) There are two categories—one for Halloween and one for everything else.